These two shots were taken directly with my camera. I set it on sepia and this is what I got: a full rich brown color. Fun shots and a really neat idea! 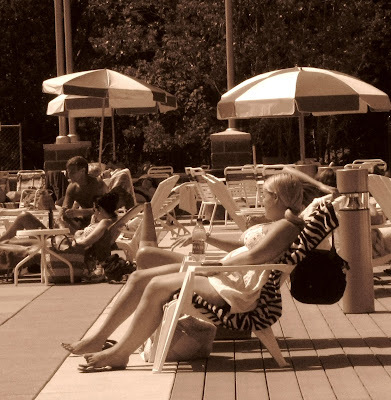 The sepia here is really neat - it enhances the suntanned look on the poolside guests - without all the harmful UV rays! always showing new ways to enhance a photograph. I hope you can a book of all these things you are giving us for free. Thank you for being such an inspirational teacher. 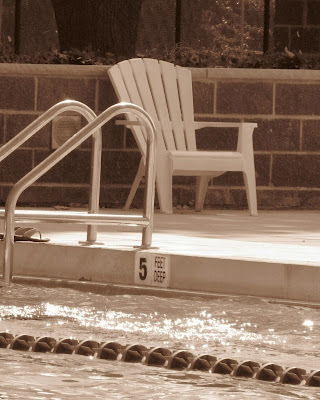 Poolside is perfect for a summer sepia. I love the pool shots ... in sepia, they just scream summer. Great work. Check out the unique photo challenge website www.weekdayphotos.com, every weekday has its own theme and a different photo challenge every week. Fantastic picture. I love summer and this really brings it out. 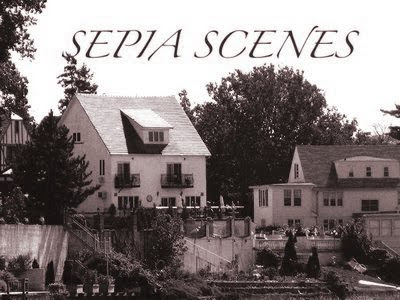 Wow - you have a camera that takes sepia-toned pictures? Did they make it just for you??? I'd love to have that setting, too! Your pictures make me want to jump in the pool! I found another shot from my London trip that I hadn't edited yet, and was very pleased with how it turned out when I edited it in Picnik, so that's my Sepia Scenes shot for this week!